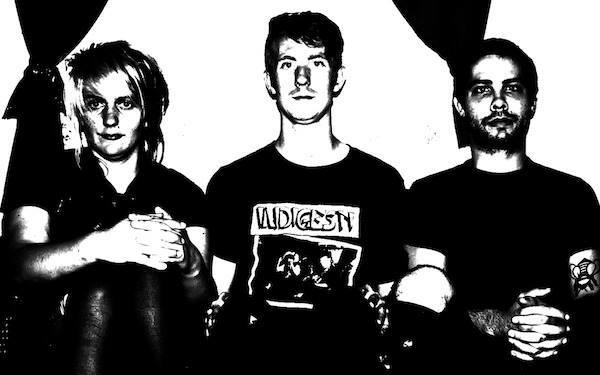 At Work, (Stupid Bag Records/ Drunken Sailor Records) the latest album from Dark Thoughts unleash a blistering, melodic-punk euphoria on their latest album, At Work (Stupid Bag Records/Drunken Sailor Records). The trio forges a forthright, raucous atmosphere – one that speaks to listeners in a direct, immediate way. It’s a let-loose, launch-into-a-song, hard & fast, sweaty kind of record. It’s a heartfelt, hook-rich release. Tonight at First Unitarian Church, the band will be opening for supercharged shredding of Impalers, the steely snarl of riff-riding locals Grave Turner, and Sedation (who are performing live for only their second time).